(Nanowerk News) A nanostructured gate dielectric may have addressed the most significant obstacle to expanding the use of organic semiconductors for thin-film transistors. 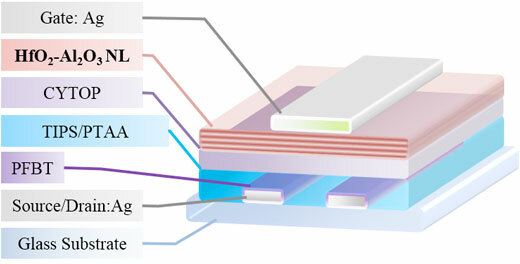 The structure, composed of a fluoropolymer layer followed by a nanolaminate made from two metal oxide materials, serves as gate dielectric and simultaneously protects the organic semiconductor – which had previously been vulnerable to damage from the ambient environment – and enables the transistors to operate with unprecedented stability. 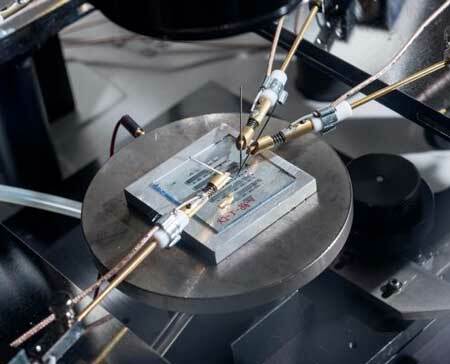 The research was reported in the journal Science Advances ("Stable organic thin-film transistors"). The research is the culmination of 15 years of development within COPE and was supported by sponsors including the Office of Naval Research, the Air Force Office of Scientific Research, and the National Nuclear Security Administration.